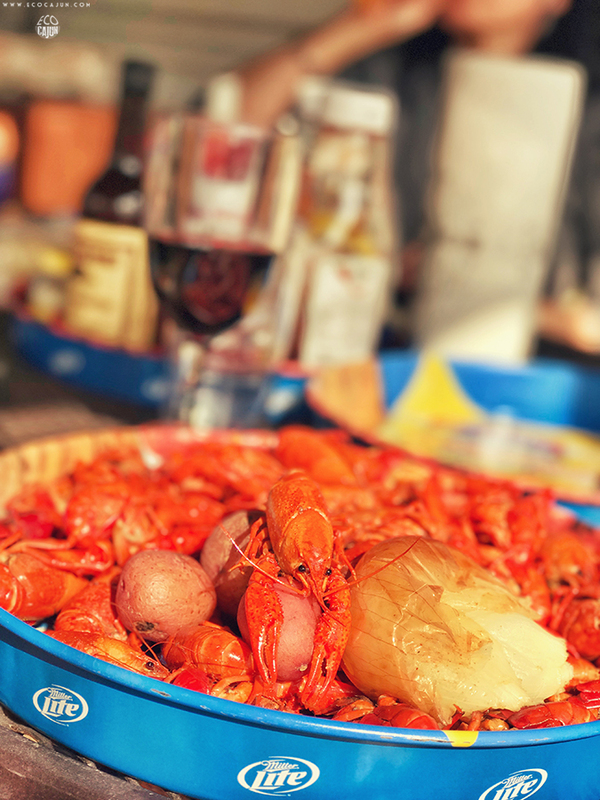 Here in Louisiana, tis the season for numerous backyard, family/friend gathering crawfish boils. 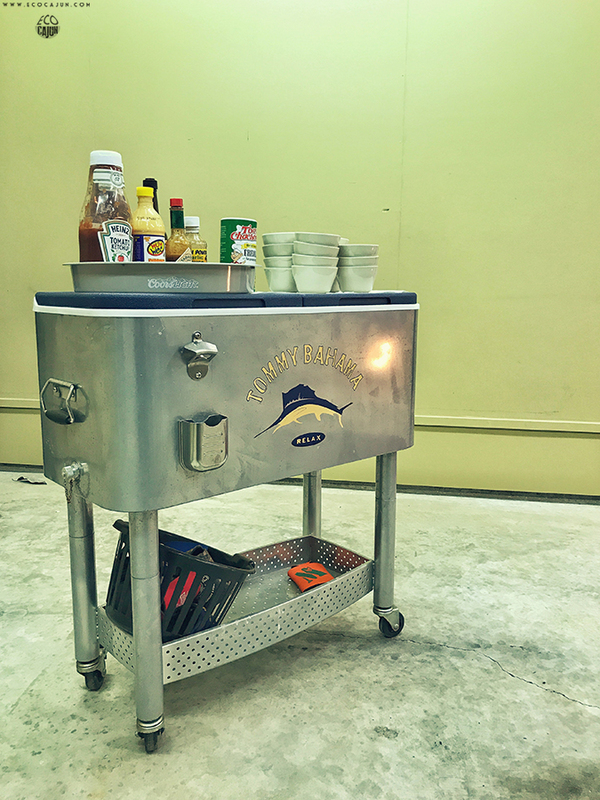 The beer is cold, the tails are hot, and the waste can sometimes fill multiple trash cans. But with a few key items, you can very easily transform your crawfish boil into one that produces a lot less waste. 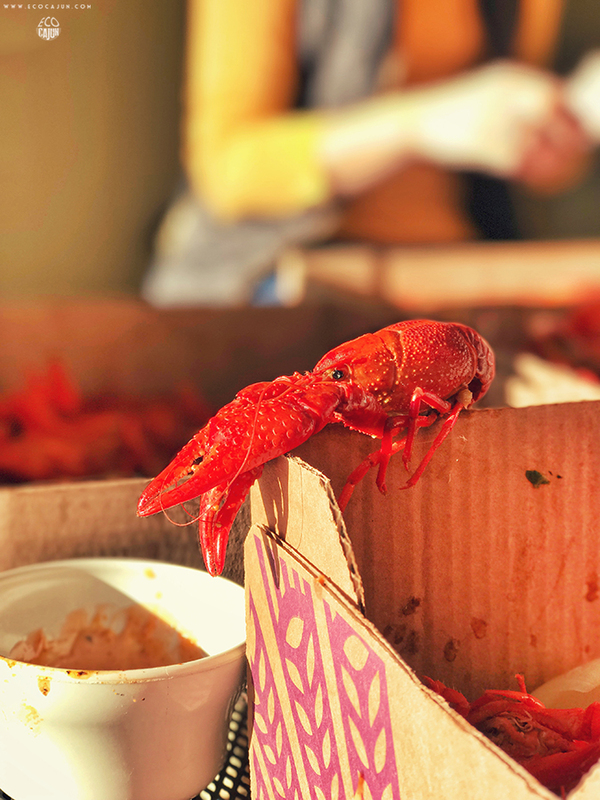 Beyond the mountain of crawfish shells that end up in the trash, a big component of waste is from disposable trays and cups for everyone's dip, along with drink cans or bottles. Plastic trays are not an expensive investment, and work extremely well for each person's serving of crawfish. 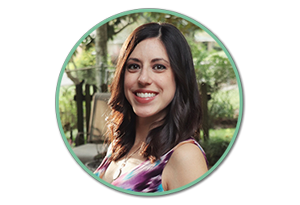 These are my favorite ways to reduce waste, since they can be soaped down and hosed off after. Better disposable alternatives include recycled cardboard trays that come from cases of soft drinks and beer. Ask your neighborhood grocer if they have any trays they're getting rid of, and you may be able to score a pile for free. 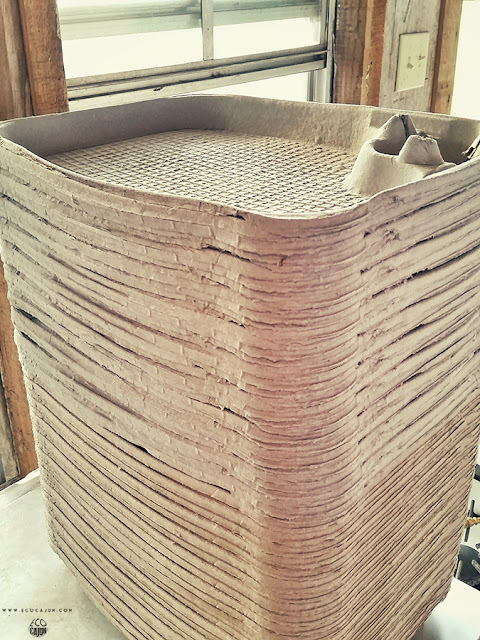 My husband, in-laws and I went to a crawfish boil one time where they used a stack of trays made of egg carton material that even came with a cupholder (whether you used it to place a bowl of dip or your beer was your choice). Paperboard material in general can be composted in your bin, but the juices from the crawfish ends up making it contaminated. Wet cardboard or paperboard CANNOT be recycled within the city of Lafayette curbside recycling program, so don't try it! When it comes to condiments and everyone's signature recipe of dipping sauce, provide reusable bowls or cups, along with spoons, for everyone to use. Set up a recycling bin next to the trash can to collect any recyclable drink cans or water bottles. But as I always suggest, skip the water bottles in general. Pour yourself a glass of water from the sink, fridge or filtered pitcher. 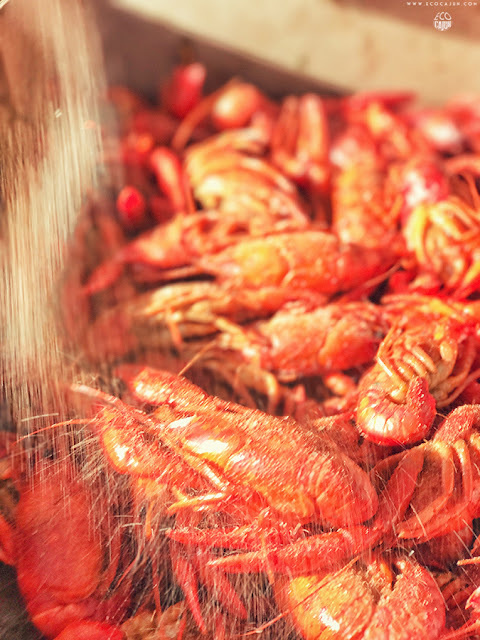 Paper towels are pretty much a requirement at every crawfish boil. The most zero-waste alternative would be to use inexpensive, plain cloth napkins - and wash them in a separate load from any other laundry. You could also cut up old t-shirts or towels or use old rags. 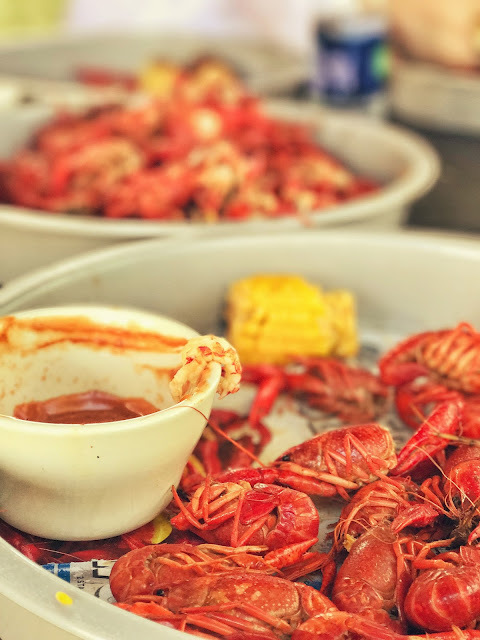 If reusable napkins are not your speed when it comes to the mess of a crawfish boil, then stock up on paper towels made of recycled paper. Here's to a fun weekend full of green! Make sure to recycle any cups after you're finished with your green beer.